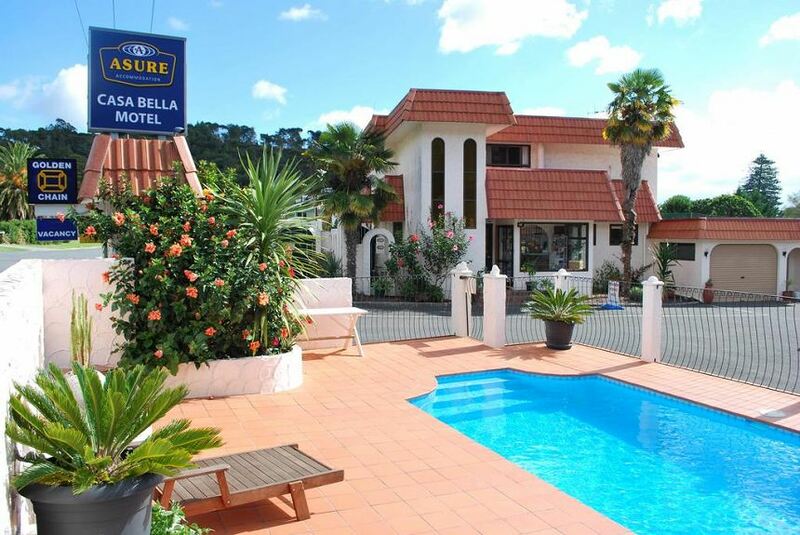 Offering free Wi-Fi, a swimming pool and a tennis court, Casa Bella Paihia is a 2-minute walk from the beach. Guests also enjoy free parking, a spa pool and a BBQ area. The Spanish-style Casa Bella Motel offers a variety of self-contained accommodations which is serviced daily. All of the spacious studios are well-equipped with a kitchenette and dining area. All units include an LCD flat-screen TV with over 50 satellite channels. There is a free tour booking service available for local tours and attractions, such as swimming with dolphins. The local shops, restaurants, wharf and attractions of Paihia are just a few minute's walk away.